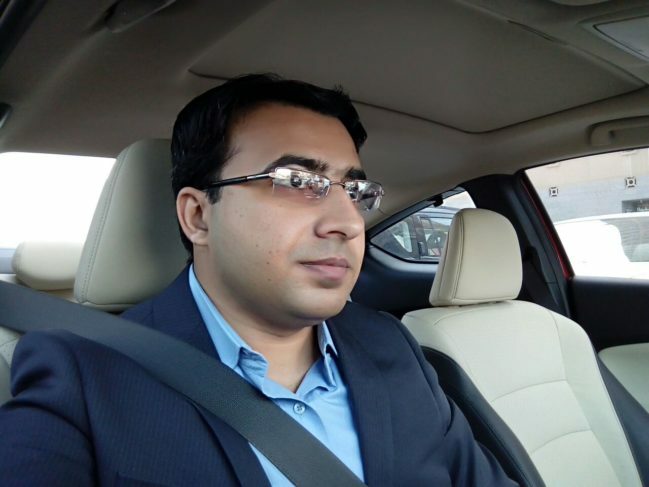 Hey, I am Fahim Safdar, certified professional & partner of Google Adwords & Inbound Marketing by HubSpot and I work as a digital media & SEO expert in Dubai. My expertise lies in paid, organic and local/ maps optimization for online businesses, strategic social media marketing, inbound marketing, content planning, development & marketing, project management, creative digital marketing, customer experience planning, online branding & reputation management for different kinds of e-commerce and business websites ranging from small, medium to corporate. My marketing and IT background allow me to proceed with and complete even the complex projects like developing products selling a website, e-commerce portals, managing email marketing campaigns as well as high-conversion landing pages and digitally building any brand to increase sales and ensures high Return on Investment (ROI) through excellent service delivery. The credit of my expertise over organic search engine optimization, social media dealings, pay-per-click (PPC), website designing, branding, usability, content marketing, reputation management and conversion optimization goes to my above 10-years extensive experience in the digital marketing and possessing strong commercial acumen and expertise as marketing strategist and transforming analytical results into actionable and business relevant recommendations. I have carried out these services for small, medium-sized business firms and corporates. The SEO investment pay is made profitable only by making sure that the client’s website rank on the first page. My hands-on experience with different niches allows me to make sure of it and this is yet another reason why I keep my knowledge regarding SEO tools and search engine algorithms up to date as per the latest updates of search engines. I aim to achieve goals that turn out profitable for my clients. My goals are to provide winning strategies and run successful SEO campaigns to improve ranking in SERPs (search engine result pages), traffic growth and online marketing of the small and medium sized business projects. I, together with my client run successful SEO, SMM, and PPC campaigns and work hard to drive my client’s websites, traffic, rankings and the return on investment towards betterment. A winning online marketing strategy can only be devised by the incorporation of SEO techniques and social, mobile and local optimization and I, being SEO specialist, glad to offer my services to enhance your website traffic, brand awareness, and profitability. At your service round the clock! If you are interested in generating a higher number of leads and sales from your website, you need to make sure it is optimized according to the SEO standards. As the industry is full of competitive keywords, make sure your website ranks on the first page of search engines especially in Google. To achieve the better and first-page ranking, even the guidelines gave out by Google regarding website on-page optimization, and quality link building keeps on changing. It is possible that the changes you made in the previous month might not go well with the ones made recently. Thus, it is essential to know about and improvise the website according to the latest techniques and professional SEO tactics of the post-Penguin and Panda era. The SEO consulting services I provide are based entirely on efforts made to fulfill the client’s requirements. Every website has its unique features and off-site submission which help in ranking it on the first page of search engines. I intend to analyze the domain age, backlinks quality, previous off-page SEO activities, keywords search volume, market competition as well as the search engine penalties before initiating the optimization of the website. My SEO services are not merely based on providing the template generated SEO analysis or backlinks. To increase the conversion rate, factors other than ranking on the first page of the web are required. Becoming successful online and growing the ROI is the goal of every website owner but it takes in-depth keywords research, local SEO as well as landing page optimization to do so. My aim is to get to the bottom of your problems! After discussing the situation with my client, I tend on looking into the competitors for reverse engineering their back linking profile and to come with an SEO strategy that suits the website under work. I along with my Dubai SEO specialist’s team improve the ranking of the website by fixing the major issues and then move towards increasing the online exposure. I start off by conducting an SEO audit of the existing online presence, ranking, and structure of the website. After an in-depth analysis, I identify the potential, weaknesses, prospects and the threats of your website. I have a stronghold over SEO practices which allow me to draft the finest and most proper SEO strategy for the website. The SEO strategy is the only thing that influences the Google’s SERP as a whole. By blending the standard and most up-to-date search engine marketing techniques, I can help in ranking your website high in the preferred business industry via my strategy. The substantial efforts put up by your competitors are hard to breakthrough but not impossible. The competitive analysis is the key to determining the SEO game plan of your competitors. It helps me to follow the clever SEO strategies of the opponent and look into his back link profile and content audits. This helps in finding their keyword position in the search engines and can be used to create a better digital marketing plan to beat them. You need not worry about the hidden online threats anymore. One of the integral parts of the SEO plans is to find the relevant and highly targeted keywords having high search volume. This technique involves finding the keyword relevancy, in-depth keyword research, consumer behavior, considering the search patterns, and business-oriented market analysis. I offer consultation in this regard and intend to keep the SEO campaign transparent by providing the keyword research in the right way. I consider the global and regional search patterns as well and follow the latest changes and updates to optimize your website for higher ranking in search engines. Both services are offered as an SEO expert and being one; I offer them to my client as well. The on-page SEO is the optimization of the website factors including structure, content, Meta tags, images and page load time while the off-page SEO is the process of building back links from the authority websites. These services help to boost your website’s online performance and increase your ranking in the search engine. Backlink auditing is an in-depth analysis of website backlinks profile to find the opportunities and loopholes in the linking strategy. Backlink auditing covers many factors. Such as; backlink analysis, anchor text distribution & diversity analysis, competitors backlink analysis, link relevancy, and type of links pointing to your website and your competitor’s website. I can keep your website safe from the prowling eyes of Google Penguin, and this is one of my necessary expertise. Optimizing businesses to get ranked in local search results is not a simple task. It requires in-depth analysis leading to customized local SEO strategy building and execution for a local business to pin on Google maps, local citation & reviews, local business directory submission, on-page optimization and reputation management to build brand awareness and higher ranking in location based searches. Almost every newly launched e-commerce business follows footprints of the big retail brand to attract traffic with a higher ranking, but they overlook the fact that these big names are working on advanced SEO strategies and techniques. An e-commerce website demands conversion optimization that must be put in action to have a higher ranking in the search engine result pages leading to higher sales. I focus on doing this by utilizing the e-commerce SEO services and boosting the traffic and conversion rate of the e-store. If in any case you are facing a problem in digital marketing or while running your digital, SEO, social media or full-fledged inbound marketing campaign; get in touch with me, and I will try my best to make use of my expertise to help you for your higher profitability. My advice will be focused on optimization and rank your website in-house by utilizing minimum resources. The better is the visibility of your website in the search engines (Google, Yahoo or Bing); the higher will be the number of targeted visitors on your website. In an otherwise case, the potentials customers or prospects might not even know about your existence. A better visibility is the key to having a higher ranking in search engines. It results a higher sales, profit and increases the brand awareness. Every website should follow certain SEO practices to have higher search engine ranking, but if you are unable to manage time or lack of technical SEO expertise, it’s time you hire an experienced, talented and a consistent search engine optimization (SEO) specialist. Maile Ohye, Developer Programs Tech Lead at Google, sharing her advice about improving the experience of searchers on your website by hiring an SEO Expert (Search Engine Optimizer). Some of the questions that you must ask before hiring the SEO consultant are given below along with my answers to them as well. How Long Does SEO Take to Show Ranking Results? 4 to 8 months are required for a website with a clean backlink profile and good-quality content. These are ranked for low to medium competition keywords on the first page or in other words among the top 10 ranked results. An additional 1 to 4 months are required for websites which were over optimized or suffered from Google penalties or have low-quality content. For a quick turnaround and traffic leading to sales and brand awareness, I can set-up a paid campaign on social media (Facebook, Twitter & Instagram), Google Adwords or Bing Ads which help in attracting highly targeted visitors very next day. What Makes You Different from Other SEO Experts and Digital Companies in Dubai? I strive to work hard to ensure your website achieves its goals within the next coming months. By being honest and transparent in my dealings, I boost the traffic of my client’s website leading to more leads and sales by optimizing the right keywords, building quality backlinks to improve ranking from “not ranked” to “top 10 results (first page)” of search engines. Most of the SEO gurus focus on “6 months recommended period” for the SEO campaign, “in business from last 10 years”, “helped thousands of companies”, we can “improve your ranking” of website, “be on top of Google” search result / first page or “boost website traffic overnight” but unfortunately, it’s not going to help you to be ranked on the first page of Google. On an average, most of the keywords take 3-8 months to be ranked on the first page while some keywords with low competition for authority websites get ranked even within 1-2 months. However, highly competitive keywords can take up to one year or in some scenarios more than a year depending on many factors. I always conduct personalized in-depth technical and competitive analysis to design highly effective SEO strategy. Moreover, I closely monitor, measure and track SEO campaigns after execution because the success of my client is my success. Do You Have an Experience Of SEO for the Real Estate, E-Commerce, Events or Any Other Small, Medium or Corporate Company Websites? I have perfect SEO expertise to rank websites of a niche regardless of their geographical area, local/global type of optimization. Owing to my vast experience, I am capable of ranking any keyword for any website in any country state, city or region of the world. The clients and projects I have worked on include the local businesses, e-commerce websites of clients targeting worldwide, real estate brokers, events, exhibitions, web agencies and other websites of the clients based in UAE (Abu Dhabi, Dubai, Sharjah), USA, Canada, Australia and the United Kingdom. Which SEO Techniques Do You Use to Optimize Rank Websites? Do You Use White, Grey or Black Hat SEO Techniques? I always follow white hat SEO practices as per the Google Webmaster guidelines. Having a collection of my websites database with good SEO metrics, traffic and higher authority in Google, it gives me an advantage on the playing field to gain higher authority and ranking improvement. For the back linking campaigns, I use a diverse range of social media, articles, guest posts, press releases, web 2.0, web & business directories, bookmarking & content syndication websites and much more. While optimizing the website, I avoid using the spam blog comments, redirects, hidden backlinks, spammed website links, automation software, low quality or spun content and black/gray hat SEO techniques. Such things will be a significant risk for your website leading to get Google penalty. Can You Provide the List Of Your Previous and Current Clients? Vanessa Fox, the writer of ‘marketing in the age of Google’ (Wiley, 2012) and the initiator of Nine by Blue – Seattle-based SEO software provider, believes that a real SEO expert should be comfortable in giving out a short list of his current and previous clients. These references turn out to be in your favor as the interested interviewer might cross-check and receive the appreciation of your SEO work from your previous client and honor your effectiveness as a good candidate. Moreover, Fox delivered the idea that the customers should talk about the improvement in search engine ranking by the efforts of consultant’s work rather than give out the exact analytics. How Are You Going to Improve My Website’s Search Engine Ranking? “Try to avoid working with SEO consultants who are not willing to discuss their SEO methods in detail.”, Warns Moz (a Seattle-based internet marketing software company) founder, Rand Fishkin, also the co-author of The Art of SEO (O’Reilly, 2012). They have to explain the strategies to improve the website’s search engine ranking, moreover give an estimation of time frame, how long it can take to achieve the SEO campaign goals as per the agreement. Also, make it sure, the proposal of the expert must cover initial SEO technical review of the website pointing out any problem 404 errors with the pages and broken internal or external links within the website leading to decrease your website ranking in search engines. This ensures that the problems of the website are identified beforehand. Following this, to upgrade the website, I offer on-page optimization process to make it search engine friendly. The website URL, Meta tags, headings and internal linking structures are also improved. A considerate attention is paid to the off-page SEO practices as well to improve the visibility of the websites on other websites as per latest link building strategies via social media, press releases, blogs and much more. Do You Follow the Webmaster Guidelines of Search Engine’s (Google, Yahoo, and Bing)? I second that an SEO consultant should strictly follow the Google’s webmaster best practices. These practices explicitly forbid the 13 common SEO tricks used by SEO gurus for instant higher ranking. E.g. producing spam or low-quality content and participating in spam link schemes like cloaking, doorway pages, hidden links or texts. If webmaster’s guidelines will not be followed correctly, your website would be penalized by search engines by kicking out from the search results. Also, Yahoo and Bing have their webmaster guidelines for best SEO practices to improve ranking. Do You Guarantee That My Website Will be Ranked at Position 1 on Bing, Yahoo, and Google? According to Vanessa Fox, “if the candidate answers yes, turn and run in the other direction as fast as you can” because it’s impossible to guarantee # 1 ranking in search engines. Some SEO agencies and experts give such fake guarantees as most of them focus on unethical or black hat SEO practices. Also, red mark the experts, who claims of having good relations as partners with the Google or other search engine teams to have a higher ranking in search engines. Only search engines (Google, Yahoo & Bing) can control search engine ranking as per their ranking algorithm. Do You Have Enough Experience to Improve Ranking in Local SERPs (Search Engine Result Pages)? As per Rand Fishkin, “Ranking in local search results is important for the small or medium size businesses attracting nearby customers. So, you have to look for the consultant having expertise local SEO techniques”. A locally SEO optimized website appears in the search result when somebody searches the business relevant keywords in the search engines for some particular location. Local ranking can be achieved by optimizing many factors focusing on the geographic location of the business, especially by adding business location (country, state or city) in the meta tags of the website and list the business on Yahoo, Bing, Google and other local business directories of the particular location. I Prefer You Share the Changes You Make On My Website; Will You Do That? This is the type of critical question you need to ask your SEO guru before you hire him/her. As many changes are made in the current version of the web page coding while optimizing the website as per the search engine optimization rules; it is better to ask the consultant to get your permission before making even a single modification as it’s critical to know what amendments and on which web pages he is going to make. These changes may include meta tags (titles & description), fixings or addition content copy to stuff keywords which potential customers are searching, highlighting products or services to enhance the visibility, fixing in the coding of the web pages as per the W3C standards or redesigning landing pages with better navigation to make them user friendly to increase ROI (return on investment) by generating higher number of leads. How Do You Keep Track and Measure Success Of Your SEO Campaigns? Google analytics is the key to measuring the success achieved in the result of SEO efforts. 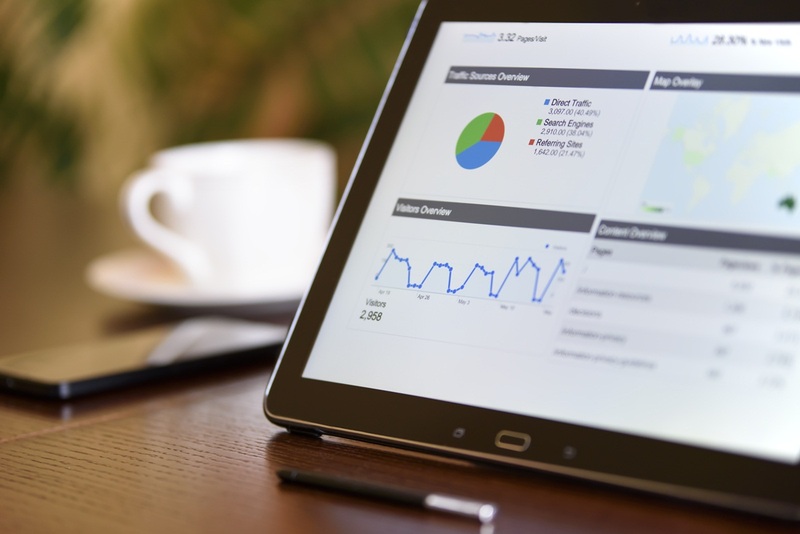 How much traffic on your website you are getting and what’s the improvement in ranking, what is the source of traffic, the number of external backlinks and which keywords searchers are using to reach your website, are the main KPIs to track the SEO performance. So, always make it sure, your consultant is experienced enough to analyze the performance by using Google Analytics, webmaster’s tools and has analytical skills for effective & in-depth analysis. You should also ask about how often the consultant shares the analytical report and how do they use it to improve the search engine rankings and traffic continuously. What Mode Will We Use to Communicate and How Frequently? Every SEO Dubai expert gets in touch in different style. It depends on your preference of communication as being the consultant; I value your opinion. Different communication modes include talking in person or on the phone, through text, mail, and Skype. Status update time tenure can be decided as well. How Much Do You Charge and What About Your Fee Structure & Payment Terms? Payment terms and the amount of payment of every consultant are different. They are whether paid hourly for their service or based on the project. The most common mode of payments is the project-based payment. It depends on the size, tenure, and complexity of the project. The Moz’s 2011 pricing survey of 600 above SEO firms suggested that the project’s charges range from $1,000 to $7,500 (3,600 AED – 27,500 AED). It also said that the lowest price of most of the retainers ranged between $251 to $500 (900 AED – 1800 AED) and the highest price ranged from $2,500 to $5,000 (9,000 AED – 18,000 AED). The rates per hour service varied from $76 to $200 (280 AED – 750 AED). Most of the consultants who are specifically working with small businesses usually charge less hourly or monthly rates. Other essential SEO costs and payment related questions include: How regular invoice payments will be due – monthly, bi-monthly, or quarterly. Also, do you charge interest on delayed payments? What’s Next Once Our Contract Is Over? “When your SEO contract will be over or if you will terminate it before the expiry due to any reason, you have to keep ownership of all generated backlinks and optimized web content for which you paid the consultant.”, Fox says. Also, make sure that the SEO consultant agrees that after the end of the contract, he cannot modify, optimize or remove the added content on your behalf. You need to ask the expert about fee charges on early termination of the contract. The expert would specify them if any. #1 SEO Dubai, Inbound Marketing Guru, Generating REAL RESULTS!